Join us on August 4th to discuss our next book, The End of Fashion by Teri Agins. 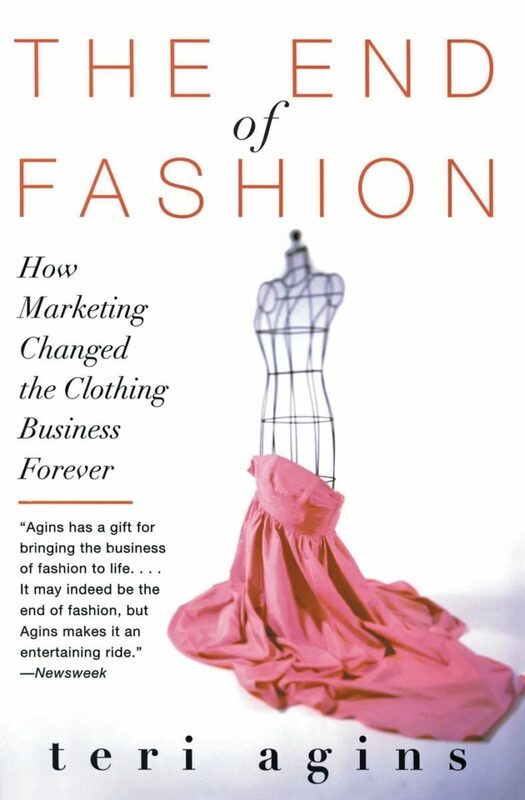 Written by a seasoned business journalist, this book looks at the radical changes that transformed the fashion industry in the late 20th century. How did fashion change from a top-down business controlled by designers and fashion editors to the consumer-driven business we see today? In a way, it’s a perfect companion to Overdressed, explaining how the stage was set for the development of fast fashion in the 2000s. If you liked Overdressed, you’ll also like this thoroughly researched, surprisingly gripping book. 1) Find a copy of The End of Fashion at bookstores or at your local library. It’s also available for Kindle, Nook, Kobo, and as an Overdrive library ebook (in some regions). 2) Read the book. If you want to chat about it while you’re reading, use the hashtag #colettebookclub on Twitter or Instagram. 3) Make sure to sign up for email reminders (below) to ensure you get updates on what we are reading and when we’ll be deiscussing! 4) Come back to the Colette blog on August 04 to talk about the book. Our next book turns to menswear with JJ Lee’s The Measure of a Man: The Story of a Father, a Son, and a Suit (August 4th). Lee is a journalist and amateur tailor. When he decides to re-makes his late father’s suit, he starts a journey into his family’s past, the history of suits, and the meaning of masculinity. This book might be a little hard to find, so start looking now. It’s available at in libraries and at amazon.com. The ebook is available for Kindle, Nook, and Kobo. The Colette Book Club is an online book club that explores the meaning and making of clothing. If you want to recommend a book, email kat@prettyscavenger.com. I am reading this and enjoying it on so many levels! I was a teenager in the 1990s and I assumed the fashion landscape I grew up in was normal – I thought Armani and Ralph Lauren and Hilfiger had been around for ages. I assumed the Macy’s retail job I held during summers in between college was the standard department store experience for decades. Marketing has always been a part of fashion from my perspective. I assumed couture always = crazy unreasonable and unwearable garments. Now I have a much better understanding of how the couture of the 1920s-1950s shifted into what it is today. Thank you for recommending this book, I never would have known this book existed. Just started reading “The End of Fashion”. Great read so far…so much I had no idea about…very eye opening. I’m finding it hard to read. It’s all very interesting but the author seems to write in a round about way; back and forth, back and forth about the subject of the chapter. Ok, I do have a bad cod so maybe it’s me that’s confused and not her writing. But the topic is good so I’m glad I’m plodding through it. It does give you a different perspective.